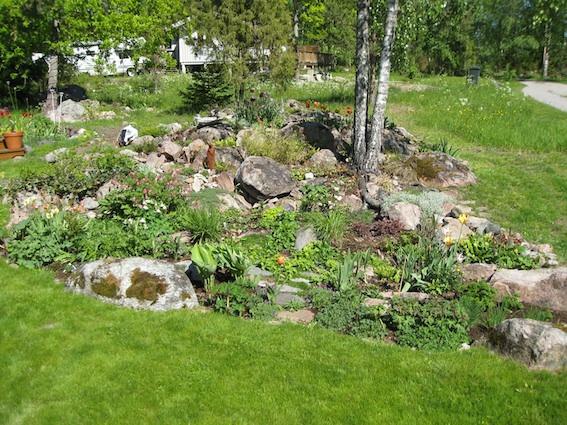 Our reader Thomas Hägg gives us a tour of his half-acre Swedish garden, located at the tip of a peninsula in the northern Stockholm archipelago, near Öregrund, an old fishing village. Thomas Hägg, who runs his own PR agency in Stockholm, has been working on the garden in his country house for about four years. His house is located at the tip of a peninsula in the northern Stockholm archipelago, near Öregrund, an old fishing village. Hägg and his partner Tommy, who own the house together, spend every holiday, the whole summer, and weekends in the house with their two French bulldogs. The garden, which spans about half an acre, is divided into thirds, with one third remaining as woodland, another third that is a meadow, and remaining third as a cultivated garden. These photographs, taken from April to September, show the work that Hägg has put into the garden over the past four years.